It may be that I have come down with a teensy Christmas ornament fixation. I can’t be sure, but over the last three years of this blog I’ve made quite a few, haven’t I? Last year for ease of retrieval and perusal, I gathered them all in one handy post. Since then t’would appear I’ve made even more, shockingly. So, for convenience sake, I’ve updated and revamped the whole thing. Do note that the bulk of these ornament tutorials are free, but a few are available for purchase as PDF downloads in the Michele Made Me Shop. There you have it! That ought to do it until next year I would imagine… Or, at the very least, until next week, eh? Hee hee. Bravo pour toutes ces belles créations !!! Je n'arrive pas à en choisir une seule !!! I love it. "That ought to do it until next year I would imagine… Or, at the very least, until next week, eh?" I can just see your household. "Don't throw that out! I can make a Christmas ornament out of it!" What does your tree look like, I wonder? Thank you for all your work to put together this collection making it so easy to find everything you have created!!! I have it bookmarked in my "CRAFTMAS" file! Love the tig trees especially! How did I miss those??? What a beautiful display!!! love it!!! I agree- I want to see the tree. 🙂 I'm sure it's delightfully lovely. Just as you are. Oh yes, I want to see your decorated Christmas Tree as well!! Thanks for all the inspiration! Couldn't find the right twigs (shape) to save my life but I am not giving up. One day I will have those!! Oh, wow, Michele! Thanks for gathering them all together in one post. They are so awesome. I'm tweeting them. What wodnerful work. Thank you for this great post…I can catch up on ornaments I' have missed. You have some great ideas! 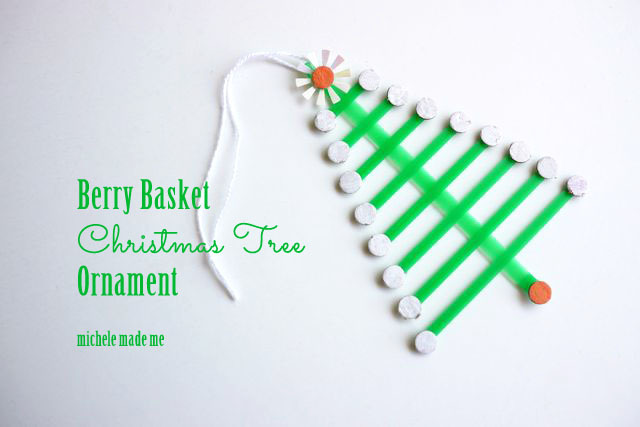 I wanted to let you know that I linked to this page in my 12 Projects of Christmas Ornaments post. Please let me know if you want me to take it down, or if you have a different image you would rather me use. Merry Christmas!